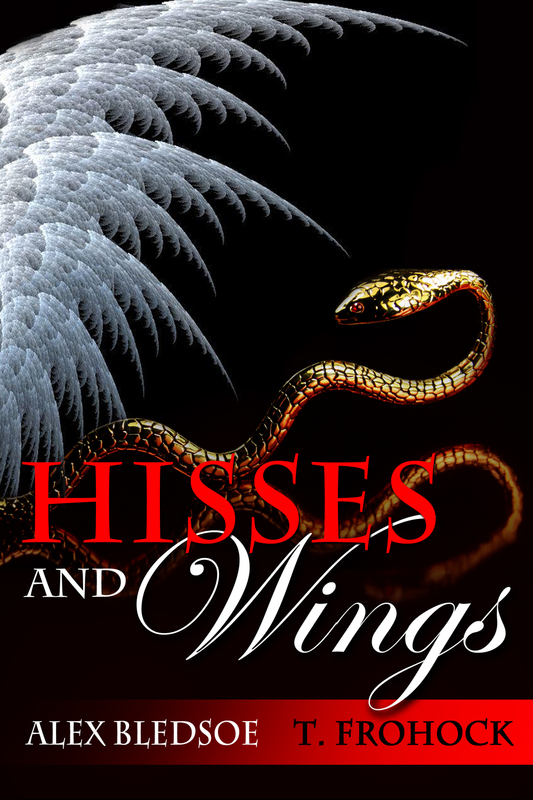 Hisses and Wings, a story of Alex Bledsoe's Tufa and my Los Nefilim, is now live at both Amazon and Barnes and Noble. I'm asking for help in getting the word out. If you tweet the link to either the Amazon or the Barnes and Noble site, I'll enter you to win one of five copies. Since the B&N site is showing an incorrect price, I'll extend the deadline to midnight EST tomorrow (December 5, 2014). The easiest way to enter is to simply tag me on Twitter with your link (@T_Frohock.). I'm really excited about the novelette and especially the price. If you've missed earlier posts about Hisses and Wings, the story is about Janet, a young woman whose forebearers were a race of banished faeries, learns of a song that might allow the Tufa to return to their ancestral home. But the song is guarded by Diago, one of the Nefilim, a race descended from angels.